Nose jobs are one of the most commonly botched plastic surgery procedures. It is highly inconvenient and unacceptable given that the nose is a prominent feature of the face; one that is also required for breathing. 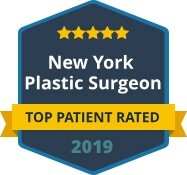 Patients who are looking to have a rhinoplasty (nose job) procedure done should always take the time to find the best of the best in plastic surgeons. However, not everyone is successful in finding a qualified surgeon, and they are left with a nose that does not look like they wanted, does not function properly, or both. Revision rhinoplasty is a procedure done to correct both form and function of a nose that has previously undergone surgery. Revision rhinoplasty is typically a more complicated procedure than a primary rhinoplasty, which means that you must find a qualified and respected plastic surgeon before you do anything else. 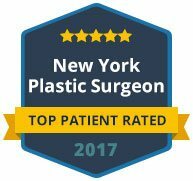 Dr. Maurice Khosh in Manhattan, New York, is a surgeon who has anchored his cosmetic practice in excellence of performance in rhinoplasty. The goal of any cosmetic surgical procedure is to create a natural and harmonious result. For patients who have previously had a nose job that ended in botched or unexpected results, Dr. Khosh acknowledges the discontent and frustration that they feel. 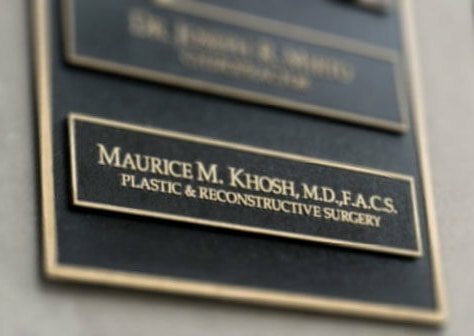 Through a thorough consultation, Dr. Khosh will not only examine your nose, but he will also listen intently to your areas of dissatisfaction. He utilizes computer imaging to help patients visualize the likely outcome of their revision rhinoplasty so that any adjustments can be made before surgery is scheduled. Your face is the most personalized part of your body. It is what comes to mind when people think of you, and it is what you must put forward every single day. If you are unhappy with the results of a previous rhinoplasty procedure, please contact Dr. Khosh to schedule an appointment. He is committed to working diligently to ease your concerns and helping you regain your confidence.